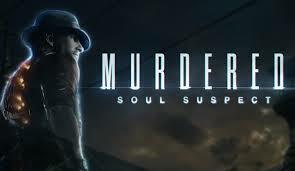 Murdered: Soul Suspect has entered the UK All Formats Chart in third as Watch Dogs is able to keep hold of first. It is the first time since Ghost Recon: Future Soldier back in 2012 that Ubisoft have managed to claim back-to-back number ones, according to Chart Track. Mario Kart 8 manages to hold onto second, however Murdered: Soul Suspect was close behind with only 400 units to separate them this week. Wolfenstein: The New Order and FIFA 14 both find themselves falling one place this week, as they chart at fourth and fifth, respectively. 2014 FIFA World Cup Brazil holds onto sixth with the competition itself only days away, whilst Minecraft: PS3 edition drops two places to seventh. There was a battle between previous chart toppers Call of Duty: Ghosts and TItanfall for eighth and ninth, with the former managing a slender lead of 200 units. The Top 10 was rounded off by Minecraft: Xbox 360 Edition. New entries elsewhere in the charts sees MMO Wildstar come in at 14th, and Nintendo’s Mii sim Tomodachi Life just behind it in 15th. Not much action in terms of new releases this week, so perhaps keep an eye on the World Cup tie in title, which interest in should peak during the tournament itself.